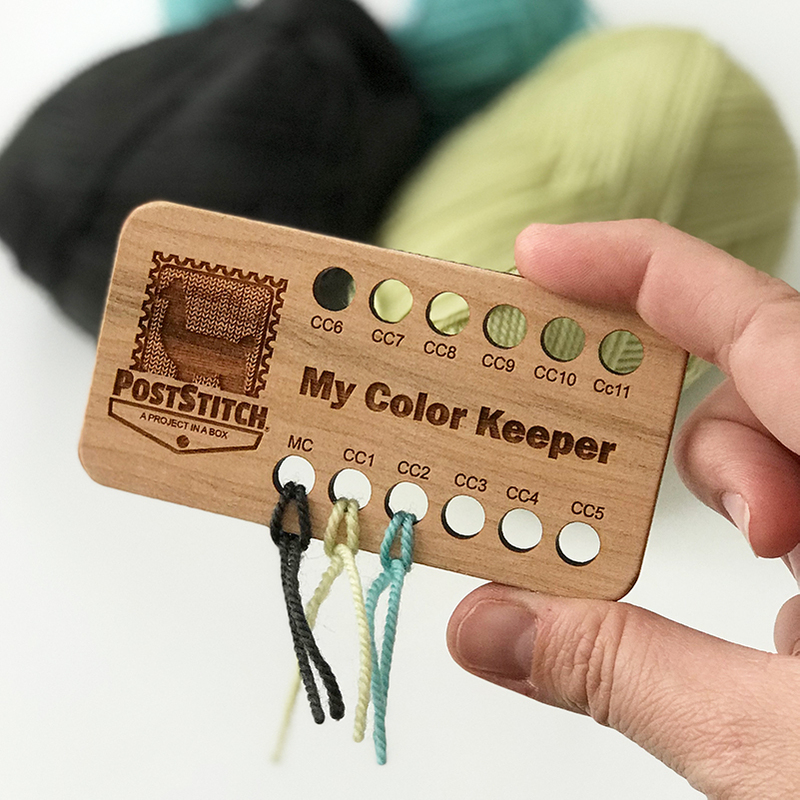 Keep track of your next colorwork project with our reusable Color Keeper. Just tie a small section of yarn from each color you're using into the corresponding hole, to create a quick reference tool as you work through your project. 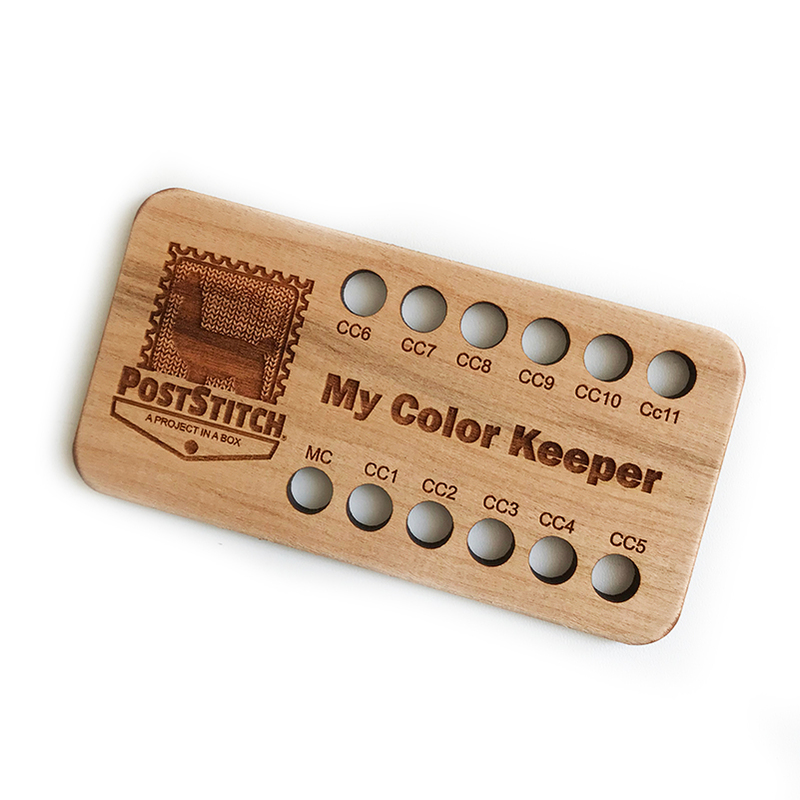 There is one hole for your MC (Main Color) and 11 additional holes for contrasting colors. 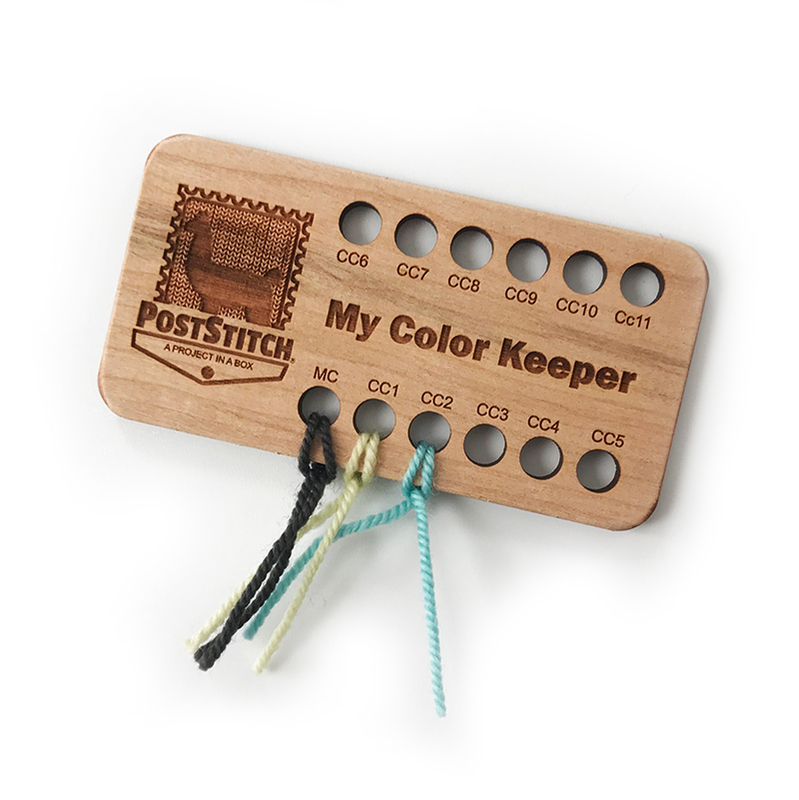 Made of lightweight wood and sized 2"x4", easily fits into notions bag or project bag so you're never far from your color order lifeline.